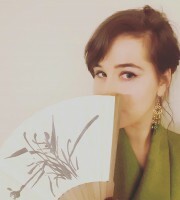 I have been living in Japan for two weeks now, and I am already taking the Japanese comfort for granted. Of course there are things that are difficult to understand (misunderstandings about culture or language) or hard to get used to (walking at the correct side of the road in my case) but the most important thing is that I already like living here. 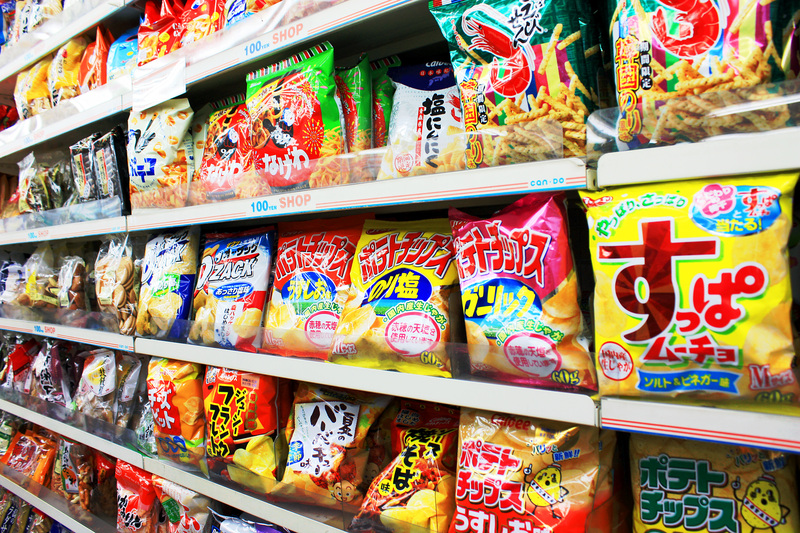 In this post I want to write about the “Japanese luxury” of 100 Yen shops, vending machines and other conveniences. The first shop where you could buy anything for 10 sen was established in 1926 in Osaka. Since 1932, around 50 shops with the same concept were opened in Japan. In 1937, the enactment of a law on 10 sen shops brought along stricter regulation. By 1941, more than 100 chain shops were established, but due to the war, many were plundered and went out of business. From those who did not close their doors, business flourished again after the war. Around the same time, 10 sen was revalidated to 100 yen. 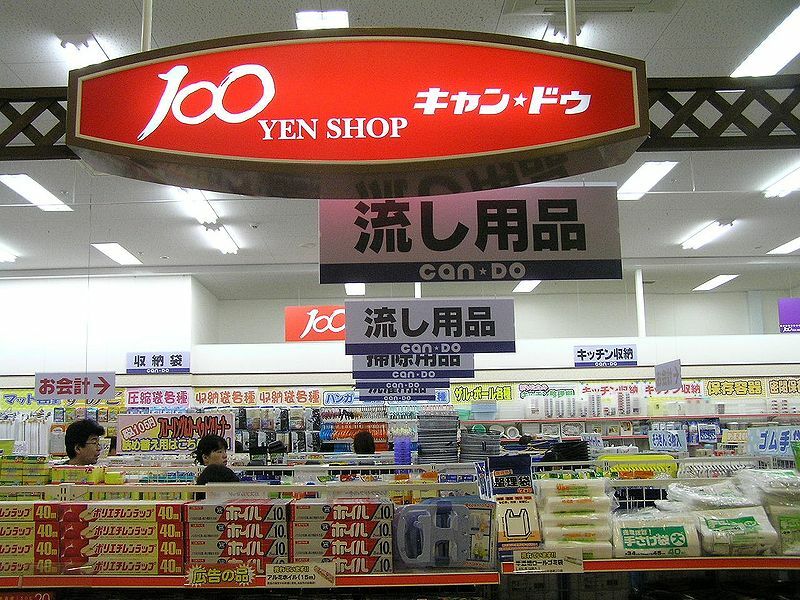 In 2004, there was a discussion whether or not the 100 yen shops should be called 105 yen shops legally because of the exclusive tax, but apparently it was not necessary because the price with consumer tax is shown on the price tags. There is a shōtengai 商店街close by my dorm where I go grocery shopping. 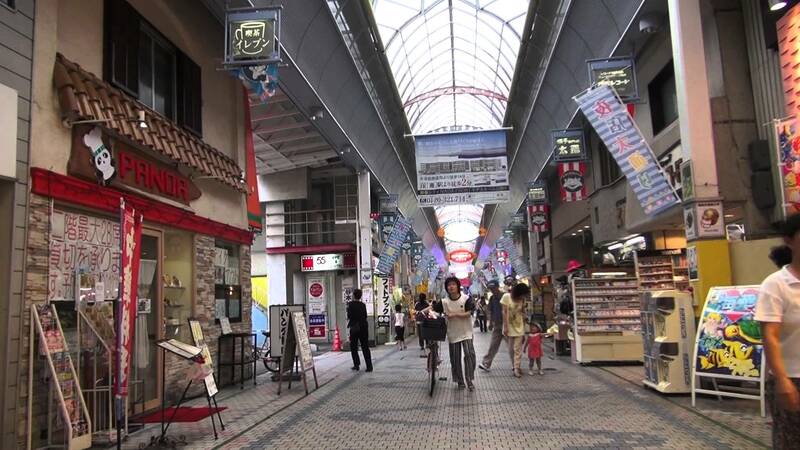 A shōtengai is a long shopping street, often covered, with various stores, restaurants, supermarkets, 100 yen shops, pachinko parlours, coffee bars and drink stands. I have written my bachelor paper about wrapping culture, and this is an especially eye-catching phenomenon in supermarkets. Most of the time wrapping is self-service – behind the check-out there are tables and plastic bags provided – but the cashier will always give you some bags when you pay as well. Food, most of the time already wrapped in plastic, is wrapped separately again and then put in another bag, and the bag closed with scotch tape. I ignore all this, say the bags are not necessary because I bring my own and put everything together in the same bag. Belgian habits, but better for the environment. In the first week alone, I could fill the garbage bag for plastic with plastic bags alone. It is, however, a relief to know that a big deal of these plastics is being recycled. 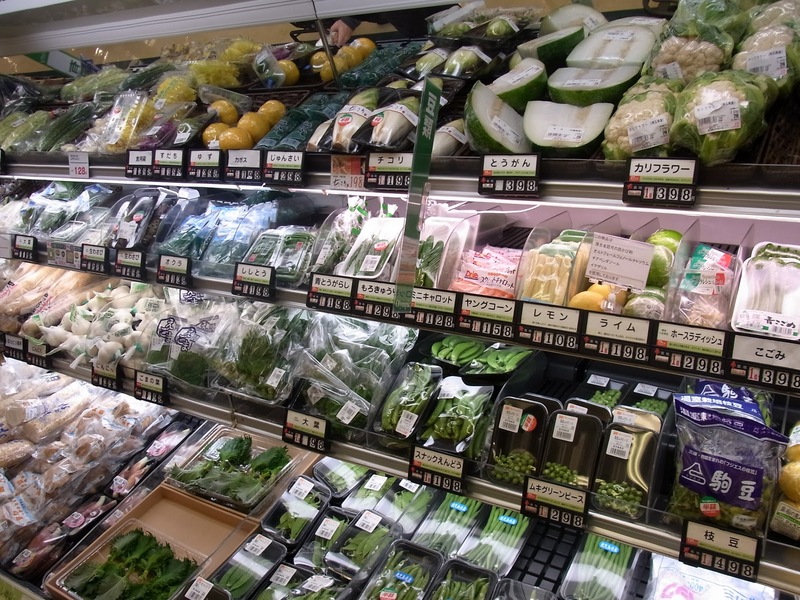 At this moment, I am still a bit unsure about what food to buy, so I mostly choose the safe options like tomatoes, rice, tofu, soy sauce, noodles, shiitake and eggs. When I am more familiar with names of dishes, ingredients and brands, I will try to make some Japanese recipes – and of course a (vegetarian) food post is on my blogging list. A great thing about supermarkets here is that they close only at 9 or 10 p.m. Where in Belgium it is actually impossible to buy food after 8 pm (except for junk food at night shops), here you can go shopping at the konbini コンビニ, short for convenience store, in the middle of the night. These shops are 24/7 open. You can also send packages, pay your electricity bills and eat what you bought there when in a hurry. There is a konbini at the campus, and they also sell motorbikes and computers inside. Japan is beyond doubt the country of the vending machines. 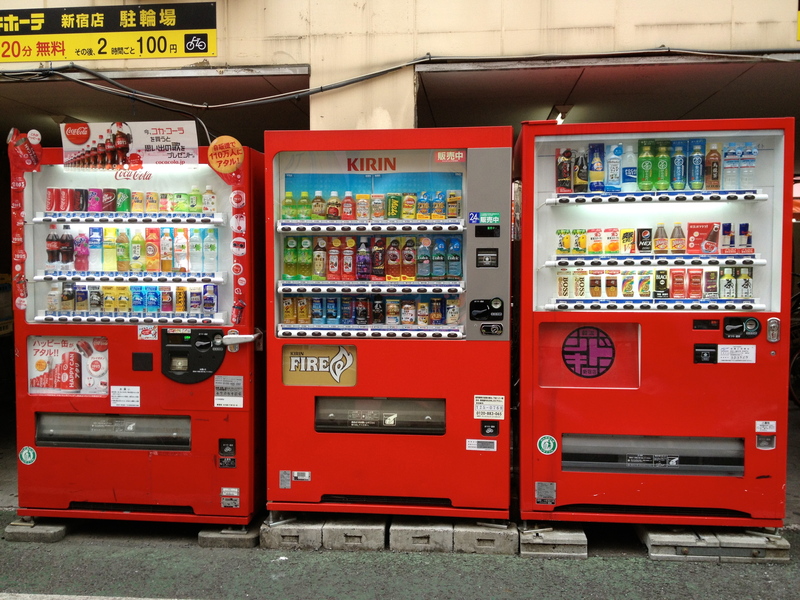 On almost every street corner you can buy a drink – hot or cold – for 100 ~ 160 yen. Not only soft drinks are sold, but also canned coffee, tea and beer. My favorites are green tea and milk tea. At the university there is a vending machine with cup noodles and udon, also providing hot water and chopsticks. – The streets in Japan are extremely clean. I have not seen a single can or snippet of paper on the ground. That it is in fact possible that the entire population of a country throws their garbage where it belongs, is hereby proven. It is absolutely not “cool” to dump it in the streets, like in Europe. It is also forbidden to smoke on the streets. As a Japanese student told me about her trip to Belgium: “if you look up, everything is so pretty, all these beautiful, old buildings! 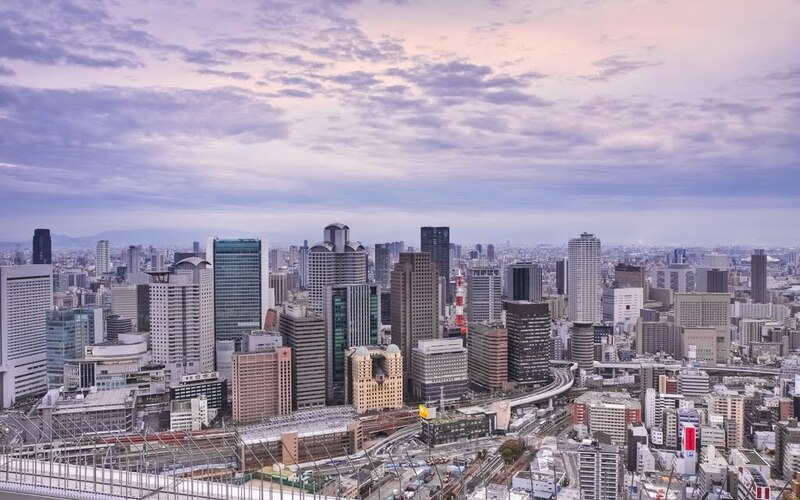 But when you look down, the street is so dirty and that reminds you again of where you actually are…” The Japanese are also very strict about collecting and separating garbage. A bottle of tea, for example, belongs in PET but only after having been rinsed with water and dried, the label and cap belong in recyclable plastics. – I find restaurants surprisingly cheap here, and you always get free water or hot tea (and they come again to refill it). The service in Japan is definitely good. While entering a shop, the staff will greet you with いらっしゃいませ！ irasshaimase, welcome – although I once heard a shop keeper shouting loud “èèèèèèèè” to me and figured out that that is what has become of the expression after having said it more than thousand times. In the bank there is one man standing at the doors who only has this function: greeting the customers. Next to that, everyone is extremely friendly and polite. People on the street as well, when I ask for the road descriptions. – In a previous post, I told about the many warning signs. I think this is the Japanese way of “making sure“, just like the fact that you will always know what the next stop is on the bus of train because it is displayed on many screens (still waiting for that to happen in Belgium) and announced as well. That “making sure” is also a part of the verbal behavior. When you buy something, the cashier will say: “Good day! What you bought cost … yen, I received … yen, your change is … yen, I will wrap it now, here you have it, thank you very much for your purchase”. It has become more of an automatism for them of course, but it is still weird for me to hear people explaining what they are doing at the same time. Japanese people work a lot, and they do their work with the utmost effort. Without doubt they experience a lot of stress and pressure from a young age (think about the entrance exams for school) and still they manage to have the highest life expectancy world-wide. In my opinion, the fact that the Japanese try to make each other lifes as pleasant as possible, explains this a bit. 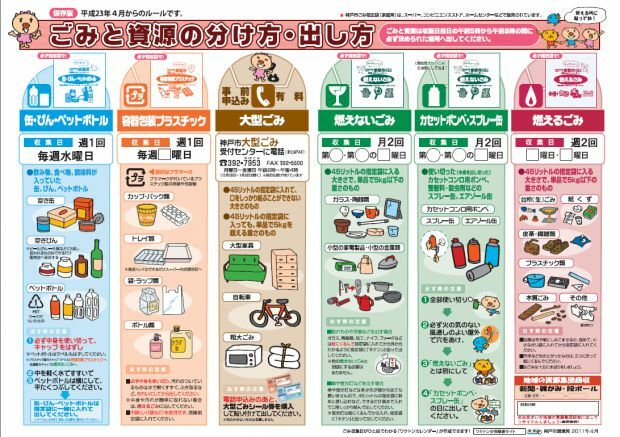 In an environment where everyone is friendly, public transport is on time, there is no loud talking on the train, needs like food and drinks are easily fulfilled, you hear classical music inside stores and so on, irritation is reduced to a minimum. What do you think?